No contract unlimited cell phone plans are currently the most popular type of no contract monthly cell phone plans that consumers subscribe to. They are most cost-effective for users who use their phones a lot, whether for talking, text messaging or browsing the web. Unlimited prepaid plans with no contract offer the assurance of no over usage charges for voice calls, texting and data (high speed data limits still apply). This unlimited plans review guide focuses on unlimited prepaid plans without contracts, rather than monthly or pay as you go contract-free plans. To get an idea of the best plans out there, take a look at this comparison chart. The best unlimited monthly no contract cell phone plans are offered by phone companies like Straight Talk, Simple Mobile, Verizon or Total Wireless. Their phone connections are clear and coverage is extensive. This is because prepaid or no contract cell phone calls are routed through the biggest and most reliable cell phone networks in the country like those from AT&T, Verizon and Sprint. In addition, these companies have the most competitively priced, starting at $35/month. Note: Some companies use 30-day periods in place of calendar months. Plan pricing and features change over time, so please visit the respective company websites for the most current information. Best Overall Unlimited Phone Plan – Straight Talk is an established brand specializing in unlimtied phone plans. The brand is jointly sold by Walmart and TracFone, the largest prepaid cellular phone provider in the US. Their $45/month unlimited text, talk and data (2.5 GB high speed) plan is the industry standard for a low cost unlimited prepaid plan. Straight Talk plans have proven to work well for millions of users nationwide. They also allow users to bring their current phones onto their network. Cheap Unlimited No Contract Prepaid Plan – Net 10 currently has an inexpensive yet reliable unlimited no contract phone plan ($40/month) that offers a good range of phones to pick from. Talk time and texting is unlimited, while the data threshold is 500 MB. The data threshold may be a little low, but with wifi access on a Smartphone, a user can do a lot with the data allotment. For a 2.5 GB high speed data allotment, Net10 offers a $50/month plan ($5 off with auto-pay). Heavy Text Messaging/High Volume Users – For consumers who want text heavily, Virgin Mobile’s $35/month ($30/month with iPhone & AutoPay) plan is a great choice. It features unlimited text messaging, 300 minutes of talk time plus 2.5 GB of data. This is a value-priced option. High Volume Users (Feature Phones/Non-smartphones) – Sometimes, a heavy usage plan, rather than an unlimited plan, may be all you need. Virgin Mobile has a $30/month PayLo plan that includes 1500 minutes of talk time, 1500 text messages, and 30 MB of data. The only drawback is that it only works for feature phones, not smartphones. For more options, see the Monthly Plans section. StraightTalk has a similar $30/month plan for 1000 minutes, 1000 text messages and 30 MB of data. The best way to decide which company to go with is to check out their phone offerings to find a phone you like, and think about whether these limits are sufficient for use. Note that these high volume plans will only work with feature phones ie. non-smartphones. 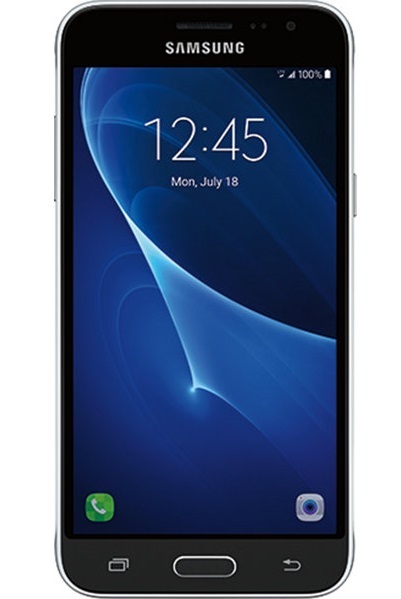 Although Virgin Mobile generally offers better phones, their focus is smartphones. For phones that work with these high volume plans, StraightTalk probably has better choices. Save BIG on monthly costs. At around $40 to $50 a month, unlimited no contract cell phone plans are significantly cheaper than unlimited contract cell phone plans which cost $90 to $110 a month. Most cost-effective and easy to manage for heavy users. All you can use for one low price. Amongst no contract plans, they have the best range of prepaid no contract phone models to pick from: iPhones, Androids, Windows, Blackberry, basic and advanced feature phones/ non-smartphones, bring your own phones etc. The main disadvantage of unlimited plans is that a customer may actually not require unlimited cell phone service. Depending on usage levels, users may not need unlimited airtime every month. It may make sense to subscribe to lower cost monthly plans, and purchase extra airtime when needed. We recommend cell phone users to do the math and find what works best for themselves. Unlimited no contract cell phone plans are the most popular monthly no contract cell phone plans chosen by customers. If you like more background information, check out our No Contract Monthly Cell Phone Plans guide. Unlimited comes in various combinations. The classic unlimited plan includes unlimited talk, text and data (with high speed limits). Some plans have different combinations, offering unlimited access to some services and a more controlled allotment for others. For example, Virgin Mobile has an unlimited text messaging and data plan (2.5 GB high speed) with 300 minutes of talk time, for $35/month. Other plans may incorporate tighter limits on high speed data access and/or talk/text usage. Payments and re-billing. Customers can pay for and maintain their monthly unlimited plans online. Almost all companies will allow users to set up automated monthly payments as an option. Some customers prefer a more manual approach, heading out to local stores to purchase airtime cards each month and then activating them over the phone or online to keep their service going. The monthly service cost is typically $40 to $50, which is about half the cost of regular contract unlimited cell phone plans. Due to these substantial savings, many consumers have switched to these lower cost monthly unlimited plans. In addition to the low monthly costs, companies like Virgin Mobile and Boost Mobile have stepped up the plate further by offering discounts for enrolling in their autopay programs and on-time payments. Consumers can save as much at $15 a month through Boost Mobile’s Shrinking Payments program. Another way to reduce plan costs is by opting for a family plan package. With family plans, companies offer discounts when two or more unlimited or monthly plans are bought through the same account. Family plan discounts are not always available, as some companies prefer to formulate their discount or cost structure around each plan bought. Unlimited cell phone plans work with the widest range of prepaid or no contract cell phones out there. Smartphones like the latest iPhones, late model Androids, basic and advanced feature cell phones that are non-smartphones all work with unlimited plans. In addition, phone companies like Net10 or Straight Talk offer consumers the choice to bring their own phone onto the network. No contract unlimited cell phone plans include unlimited voice calls, unlimited text messaging (SMS) and up to 2.5 GB of high speed data (emails, facebook updates, web browsing, music streaming). In addition, users have access to phone features like voicemail and caller ID. Additional features like voicemail and 3-way calling are typically included. Some providers like Boost Mobile include the call forwarding feature without extra charges (charges to use the phone line you forward to still applies). When it comes to data plans, unlimited prepaid/no contract plans do carry a limit on high speed data (3G/4G, LTE). High speed data limits is found with all cellular phone companies, prepaid or otherwise. Technically, companies will refer to the data component of the plan as Unlimited, in the sense that data transfer will still take place but at a much slower rate. However, this is usually followed by an indication of what the high speed data limit is. Standard unlimited plans allow for 2.5 GB of high speed data per month. This is 3 times more than the average data use of 800 MB/month per smartphone user. Newer and less expensive plans with a 500 MB is also getting more popular. 500 MB a month is sufficient for sending/receiving emails, doing Facebook and Twitter updates, some web browsing and catching a few YouTube videos. If you intend to do a lot of video and music streaming, you will probably need more data. One way is to only watch videos when you are on a wifi network. This will save your data allotment for other times when you can’t get on wifi. You could also download videos and music using wifi or from a local PC or device, so that they can be enjoyed offline. $5/month add-on for calling unlimited Mexican landlines, Canadian numbers (Except 867 area code), international SMS texting. $10/month add-on for calling landlines of 45 countries plus preferential international calling rates. Unlimited international SMS texting. StraightTalk has an unlimited international calling plan for $60 a month. Net10‘s unlimited plans include unlimited international texting Android LG Optimus Net (L45C) and LG Optimus Q (L55C) ito over 150 destinations including Mexico, Canada, UK, India, China, Philippines and Australia. 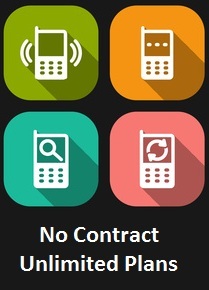 No Contract Cellular Phones & Plans Home Page – General background information on cell phone plans and phones without contracts.